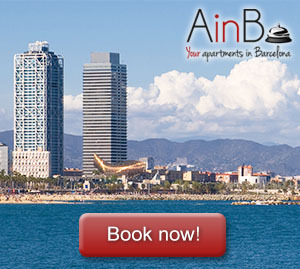 In this post, we will give some reasons to let you know searching for apartment in Sants is a great option when travelling to Barcelona. In Sants neighbourhood, there’s one hill that you probably already know about: Montjuïc. One of its sides is located just next to the sea, while the other one is next to Plaza España, a beautiful square where you can find a shopping centre built in an old bull-fighting square, a great classic fountain and two big towers inspired by St. Marco’s Tower in Venice. At the top of the mountain, there’s a fortress built in 1751 to control the boats that sail close to the city and to avoid naval attacks. Additionally, we also find Poble Espanyol, which is a space with provides a taste of Spanish cultures from the different regions of this country. This way, you can discover different architecture, tradition and gastronomy from all around the Peninsula. Montjuïc Hill is located just few minutes away from this apartment in Entenza. This summer party takes place from 19th to 27th August and are a great summer party in Barcelona. During the 4th week of August, Sants neighbourhood is dressed in its best ornaments and is the scenario of different activities for all people and ages. There are several workshops specially thought for children, street games such as gymkhanas or water balloons fights, dances and drawing contests. But adults are not only spectators in Festes de Sants, there are also sportive competitions (including a cycling race), open-air dances and karaoke where you can have a magic time with your friends and family. Sants is a traditional neighbourhood, far away from crowded touristic places. Therefore, we find traditional restaurants and bars when we can enjoy Catalan dishes at good prices. In addition, there are several pedestrian squares like Plaça Osca where you can have vermouth and tapas in terraces enjoying the midday sun. There is nothing like wake up in your apartment in Sants and go out for sharing a snack with your friends or family in a beautiful and peaceful spot like this. Carrer de Sants, main street of Sants neighbourhood, is the longest commercial street in Europe. There, we find more than 300 businesses of all kind: well-known and famous brands, familiar and small shops, traditional products (gastronomy, clothing, decoration…), supermarkets, restaurants and much more. So, when visiting Barcelona, do not hesitate to get an apartment in Sants neighbourhood and discover all the charming and secret spots that are waiting for you.